Echoterra is a new project from two melodic metal champions, Jonah Weingarten (Pyramaze) and Yan Leviathan (Avian). They've spent the last several years writing Echoterra's debut, The Law Of One. If you know either musicians, then you can be assured of heavy metal which borders on movie score material with sweeping compositions containing lavish keyboards, soaring guitars, and lush vocals. The last are provided by relative newcomer, at least in the lead position, by Suvi Virtanen who has performed in Therion's choir and with Dying Daylight. Ms. Virtanen has quite the range, from alto to soprano, without being annoyingly excessive on either end. Surprisingly, and somewhat unfortunately, you cannot get a good grasp of her skills from the outset of The Law Of One as Manifest Eternity represents her poorly. But it all gets better as you travel through this disc. If your musical interests travel anywhere within the context of Therion, Nightwish, Ayreon, and a host of other symphonic metal bands, Echoterra's The Law Of One will please you from beginning to end. The songs are epic, stylish, and masterful creating grand themes which fall over you like a temperate waterfall. Songs like Beyond the Seven Seas and Say Try Lie Die roar with strength and passion, while To Live Again simply stirs the soul with Ms. Virtanen's voice twisting your emotions. The Law Of One is a grand time, though on very familiar terms that we've heard before. Nevertheless, those who like their metal bombastic and over the top will love Echoterra. Recommended! 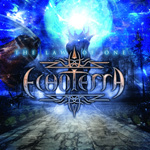 If your musical interests travel anywhere within the context of Therion, Nightwish, Ayreon, and a host of other symphonic metal bands, Echoterra's The Law Of One will please you from beginning to end.